Dr Martens have reinvented their classic 2976 Chelsea boot with two ankle zippers and an extra loop to help you pull on the boot for the maximum get up and go factor. These great pull-up boots are based on original, classic designs that are recognisable worldwide. The uppers are constructed from Aunt Sally grained leather. Showing their Dr Martens heritage, the 2976 has grooved sides to the sole, yellow stitching and DM's iconic air cushioned sole. Inside, the 2976 Chelsea boot is leather and textile lined with a shaped, lightly padded insole. 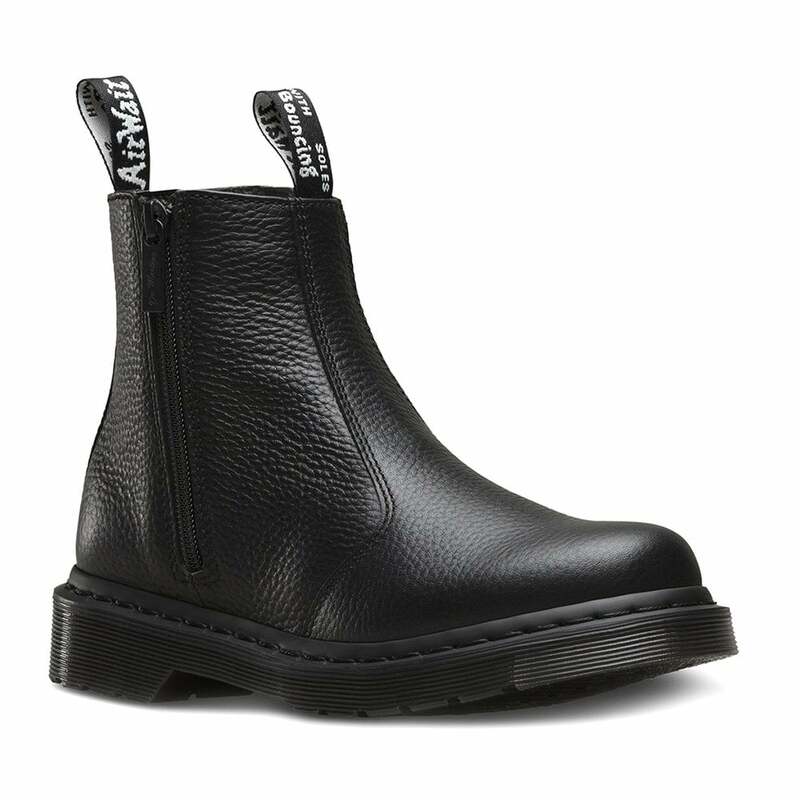 The Dr Martens 2976 is Goodyear-welted meaning that the upper and sole have been both heat-sealed and sewn together - not just glued while Dr Martens famous hard wearing and a slip resistant sole completes this great looking womens chelsea boot. A fabulous wardrobe essential - get your pair today!